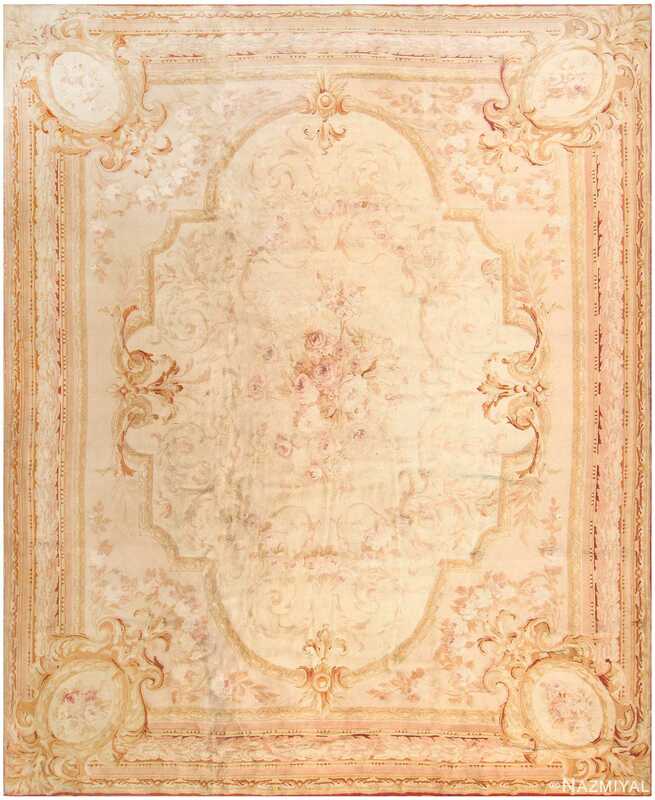 This supremely elegant antique Aubusson carpet has a grand architectural frame with lush, neo-classical embellishment. Beautiful Large Decorative Antique French Savonnerie Rug, Country of Origin: France, Circa Date: Late 19th Century – This supremely elegant antique French Savonnerie rug has a grand architectural frame replete with moldings and lush, neo-classical embellishment. 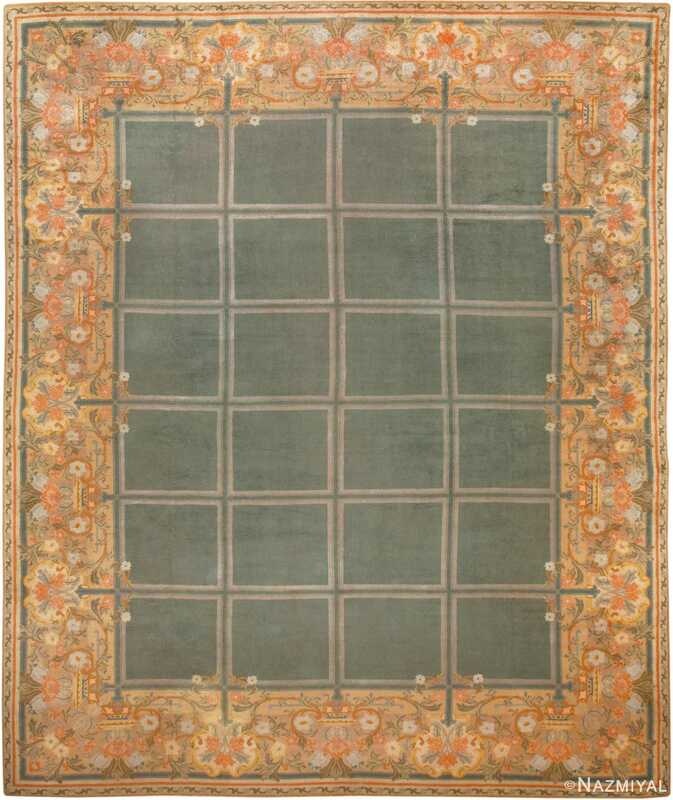 The field of this antique rug, roughly oval, appears window-like with a coloration so soft that one can barely discern the ring of vines scrolls and the floral bouquet at the center. The outer border with its straight garland and ‘bead and reel’ moldings is somewhat darker, imparting a certain gravity to this otherwise airy composition. 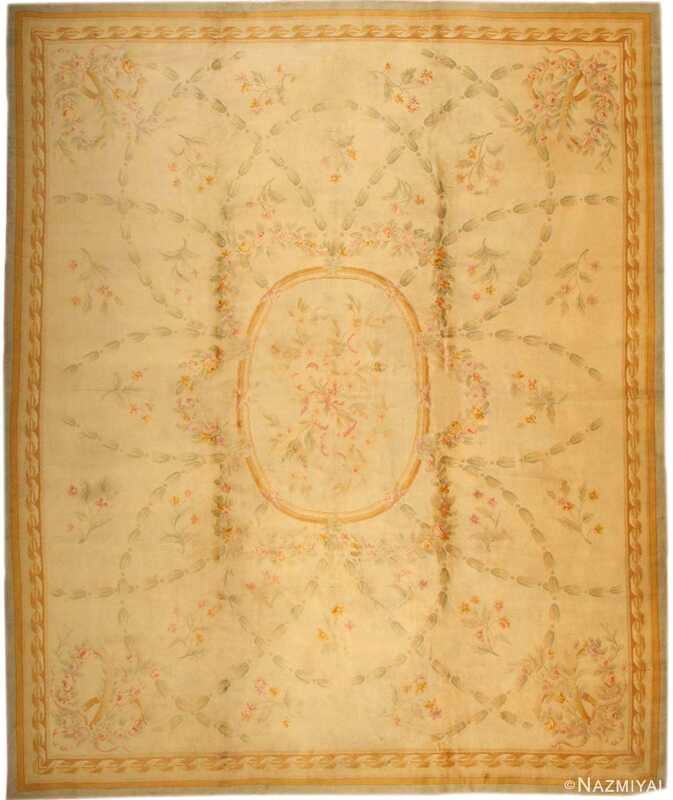 Antique Savonnierie and Aubusson rugs are known for their delicate precision and grace, but this one is exceptional even within its type. 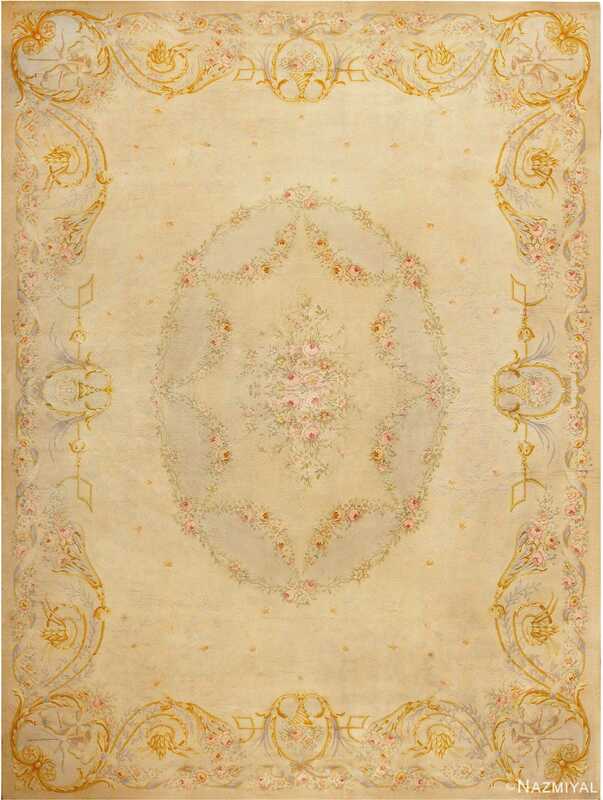 The delicate medallion surrounded by interlocking swags or flower garlands is quintessentially in the antique French Savonnerie tradition.